Location: Argyll, Argyll and Bute, Scotland. Condition: In use as offices. Ownership / Access: Argyll County Council. Notes: Kilmory Castle, also known as Kilmory House, is a large 19th-century house located just to the south of Lochgilphead, in Argyll, Argyll and Bute, on the west coast of Scotland. 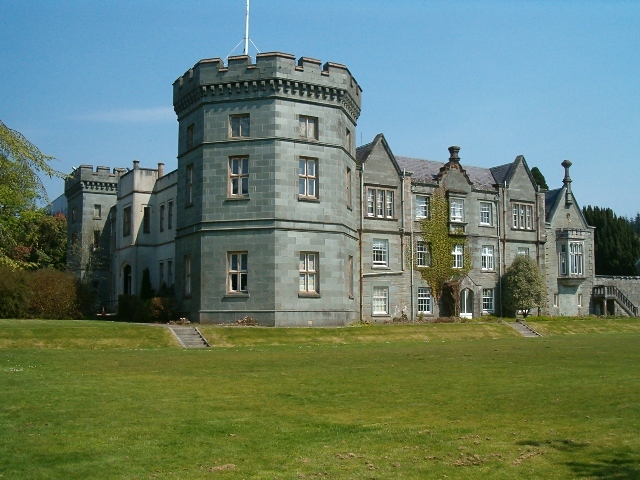 It is currently occupied by the headquarters of Argyll and Bute Council. The gardens are open to the public and form part of a country park on the former estate. The house is protected as a category B listed building.